NOW FEATURING ADDITIONAL COVERAGE OF CONTEMPORARY GLOBAL ARCHITECTURE AND MORE SUPERB DRAWINGS BY FRANCIS D.K. CHING! The book that forever changed the way architectural history is viewed, taught, and studied, A Global History of Architecture examines 5,000 years of the built environment. Spanning from 3,500 BCE to the present, and organized along a global timeline, this unique guide was written by experts in their fields who emphasize the connections, contrasts, and influences of architectural movements throughout history and around the world. More coverage of non-Western cultures, particularly South Asia, South East Asia Pre-Columbian America, and Africa. 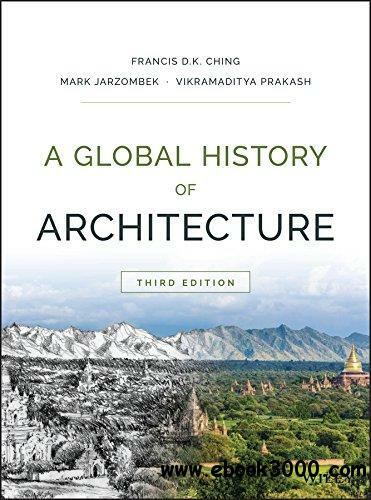 Art and architecture enthusiasts, and anyone interested in architectural history, will have 5,000 years of the built environment perpetually at their fingertips with A Global History of Architecture, Third Edition.